The Arch of Constantine, one of the engravings to go on exhibit in When in Rome, Fall 2016, in the Smith College Art Museum. Despite its physical appearance, the Spatial Analysis Lab (SAL) is more than just a computer lab in Sabin Reed. Behind the scenes, we’re often busy with new projects, teaching, and always thinking spatially. 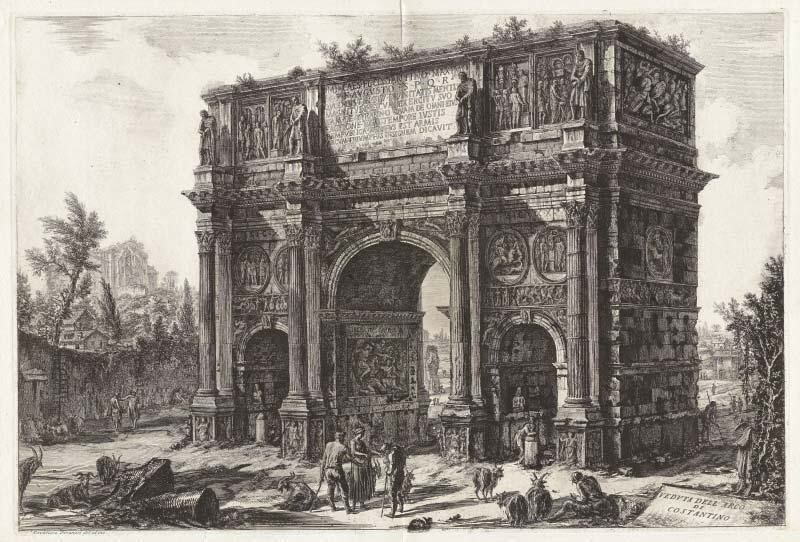 Recently, the Art Museum reached out to collaborate with the SAL on a new exhibit for fall 2016 titled “When in Rome.” The exhibit will be a showcase of artwork – prints, etchings, photographs, and paintings of famous landmarks in Rome from 1550-1900. Our part of the exhibit is to integrate a spatial narrative through cartographic and visual grammar. Our collaboration with the Art Museum will engage viewers to look at art and Rome through a spatial lens. As a start, we are thinking about artist perspective and the role of cartography in the 1550-1900 time period. We are exploring historic maps of Rome and mapping modern-day locations of famous landmarks, from the Colosseum to the Spanish Steps. In the exhibit itself, we will plan a didactic panel on the history of cartography and / or navigating Rome in a time without GPS. Additionally, as part of the opening, we are planning a talk on how historic maps are an engaging resource for the digital humanities. Like many other recent projects in the lab, we are also using Story Maps, dynamic and interactive online maps, to depict the exhibit in a spatial narrative form (see our Portfolio for examples). 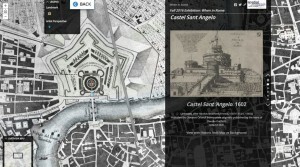 One chapter from the When in Rome Story Map with a historic Rome map by Giambattista Nolli from 1748. As the project continues, we will continue thinking about cartography and the history of mapping and map making. 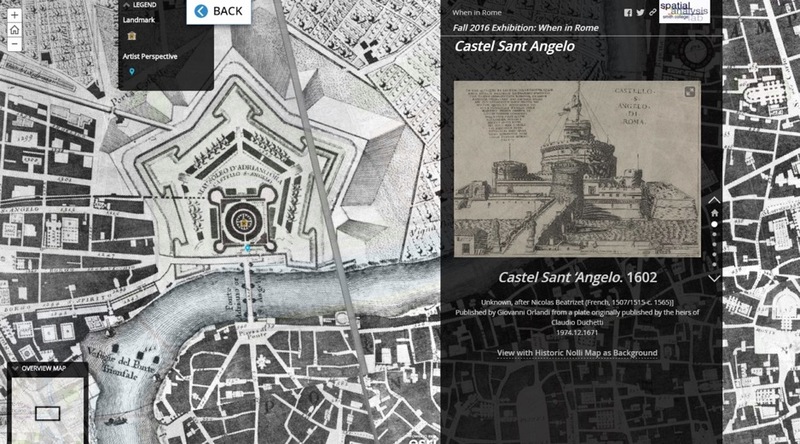 How can you best imagine Rome in a spatial setting when not everyone used maps to get around? Stay tuned as we post more updates and come see the exhibit in the fall! Postscript: The Spatial Analysis Lab is located in Sabin Reed 104 and serves as a resource for students, faculty, and staff. Jon and Scott have office hours each week and SAL assistants are top notch; come by and learn more about mapping!